Dance & Fitness Classes in Bay Area CA. Dance Entertainment Performance at Corporate Events, Weddings, and other events. Corporate Team Building Activities through Dance. Private Dance Lessons and Custom Choreography. Bollywood Dance Themed Birthday Party Hosting. BollyNaach offers dance classes for kids, teens and adults in Indian Dance, Bollywood Dance, Indian Classical Dances, Bharatnatyam, Odissi, Kathak, Kuchipudi, Belly Dance, Bhangra, Kuthu Dance, Garba, Folk, Ballroom Dance, Yoga, Bollywood Dance Fitness, and more. Summer Dance Camps for Kids. Dance studios in Fremont and Pleasanton CA, CLOSE to Dublin, San Ramon, Livermore, Danville, Castro Valley, Newark, Union City, Hayward, and other Bay Area CA cities. View Class Schedules on our classes page. 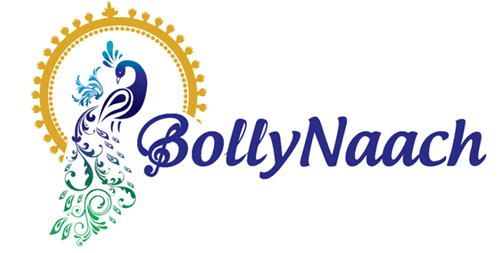 Register and enroll online via our Online Enrollment System or download the "BollyNaach" app on iPhone or Android! You may also enroll in person at the studio by coming to the class desired at the start time of that class (please call first 1-844-442-6559 to confirm timing and slots). Please feel free to call or text 1-844-442-6559 or email info@bollynaach.com if you have questions. Studios are only open during class times however phone and email is monitored and answered all day. Customers may also TEXT us at 1-844-442-6559 to get a response to questions. Please call first if you are attending for first time or have not enrolled online. Check out some of our New Classes and Workshops coming soon! Bollywood Dance Workshops (90-mins) every weekend in Fremont and Pleasanton. Please see Workshops section for dates, times, and song selections. Like us on FACEBOOK or follow us on INSTAGRAM to get latest announcements and stay in touch! BollyNaach Dance Company is always looking for talent to join our professional dance team. Our team consists of passionate and committed dancers who want to collaborate and grow as performers. Our dancers perform at community events as well as corporate and other events. Dancers need to audition into the team. Please contact us to schedule an audition if you are interested. We are also looking for instructors to partner with in Hip Hop, Jazz, Contemporary, Kathak, Bhangra, Dance Fitness/Zumba, Yoga, and possibly others. Please contact us to find out more on how you can partner with us and share your passion of dance! We welcome dance instructors & dancers in many forms to join the BollyNaach Family! Please contact us if interested.